If you’re in the sun all day, even with sunscreen on, it’s smart to cover-up whenever possible. 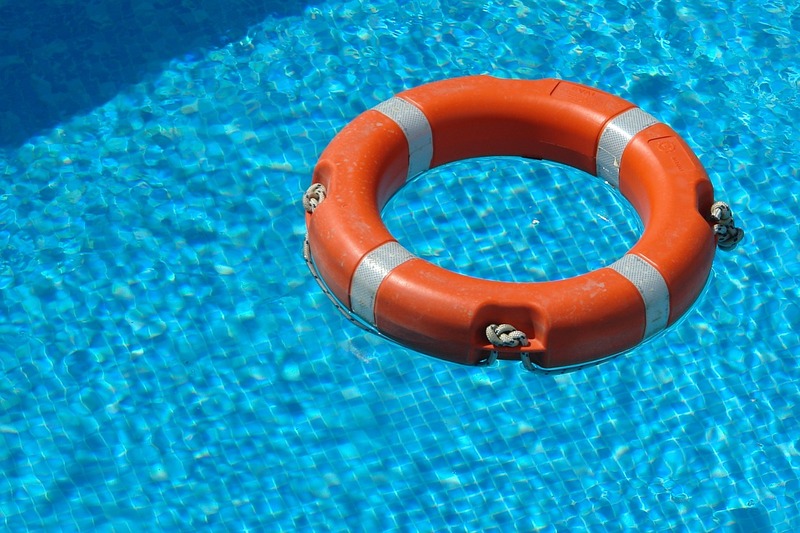 Between playing in the water and sweating by the pool, sunscreen can come off quickly and easily. And, when you’re having fun, it’s easy to forget to reapply every few hours. Put a cover-up on over your bathing suit whenever possible to protect yourself and your little ones completely. Old Navy and Victoria’s Secret have a variety of these for women to choose from. Boys can stick with a t-shirt or short-style wet suit. Protect your eyes from the harsh chlorine with goggles. While you want your goggles to look good, you should also consider comfort, size and price. Have your kids pick a few of the ones they like at the store and then try them on. This way, everyone will get goggles they like to wear that will also protect them. An ear full of water is no fun, and ear plugs can help you avoid this all together. There are plenty of small earplugs that protect your ears without being noticeable or uncomfortable. Have your kids try them on so you can be sure they’ll actually wear them. Hats don’t just protect your face, but your scalp too, which is easily burnt during a long day in the sun. There are a wide variety of hats to choose from, so you can pick one that suits your style and safety needs. Wide-brim hats are great for kids and look cute too. Otherwise you can go for a cap-style hat, a fedora, cowboy hat and more. 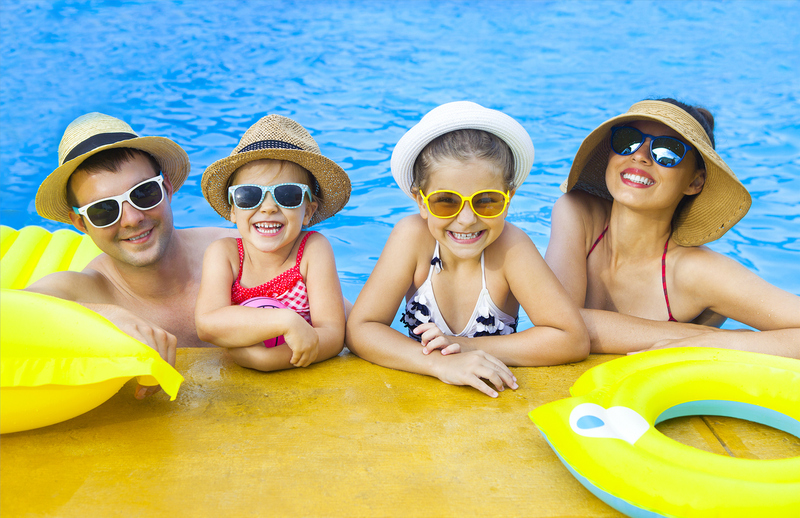 In the water, you can invest in a swimming cap to protect your hair from pool chemicals and cleaners. 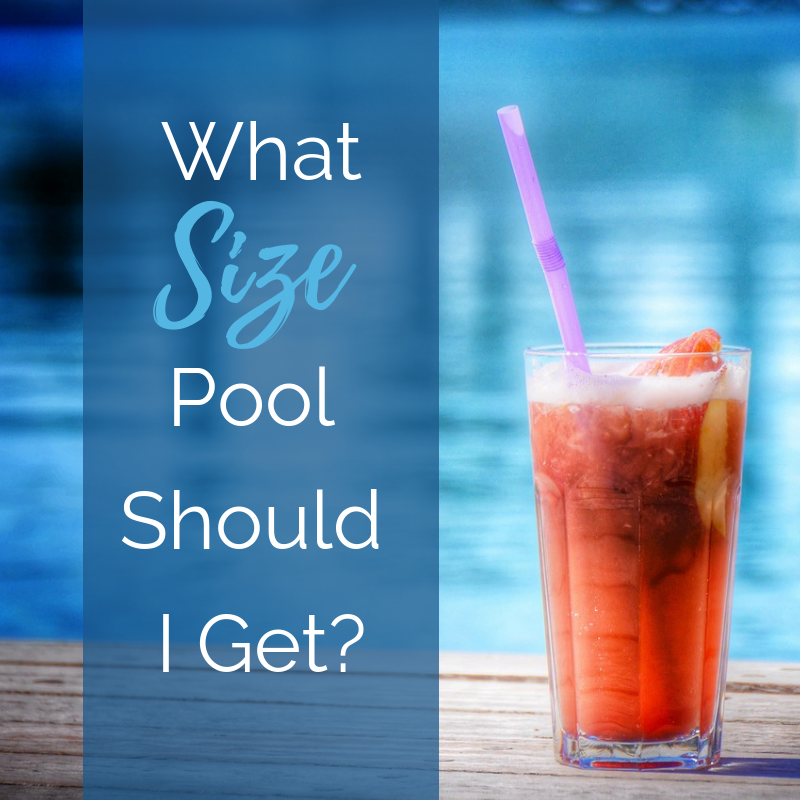 For little kids, arm floaters, or floaties, are essential in letting them enjoy their independence in the pool while staying safe. There are a variety of designs and patterns that will appeal to your little ones while keeping them above water when you can’t be in it with them. Look for a soft polyester material which is more comfortable and looks better too. Speedo and Swimways both have a number of options for boys and girls to choose from.